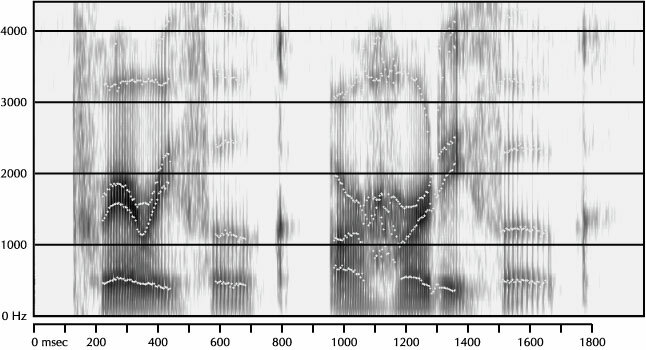 Here are a few of Rob Hagiwara's mystery spectrograms from 2003. OK, they aren't much of a mystery anymore, since I'm telling you what the sentence is and giving you a rough transcription. 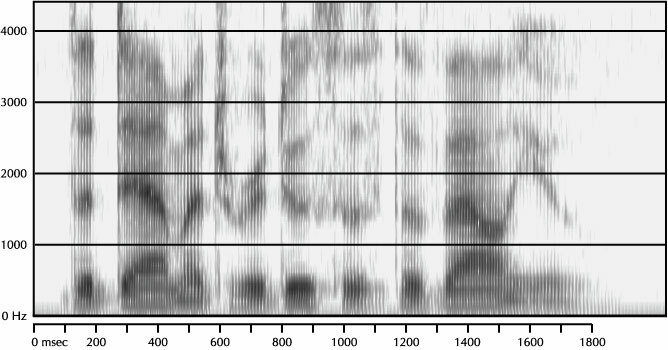 Your mission here is to decide which part of the spectrogram corresponds to each sound in the transcription. 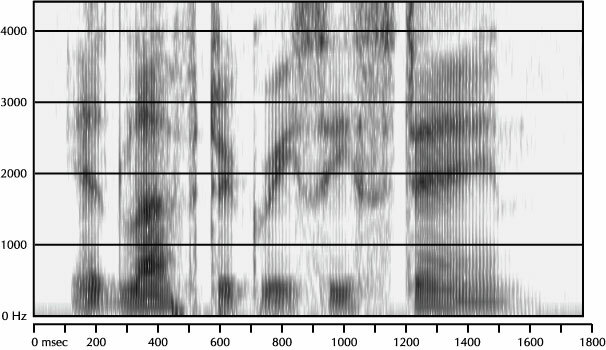 When you're done with these, try your hand at guessing the sentences for the gazillion other spectrograms on Rob's site. It left a greasy stain. They like iced tea with lemon. The damage reduces the value. Prairie folk are hardy folk.